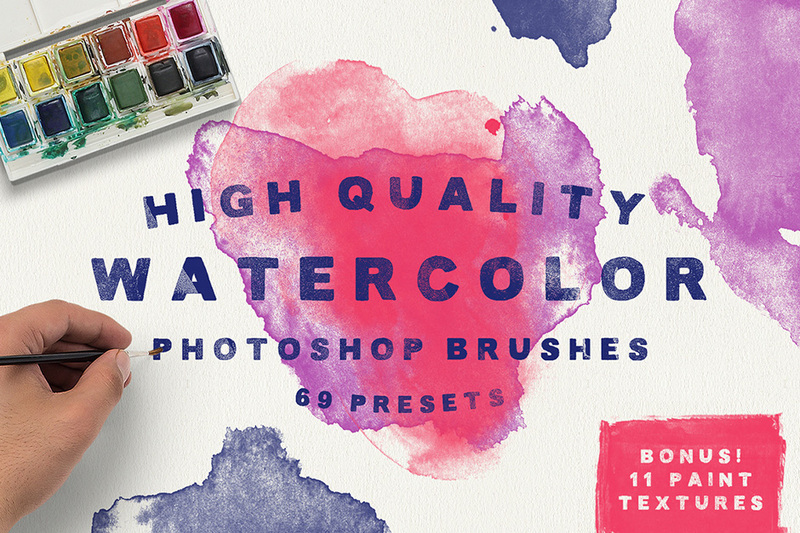 Enhance your creations with this set of high quality Watercolor Brushes for Photoshop. Quickly add texture, spice and realism to your work by using any of the 69 presets included in this pack. Bonus: 11 textures have been included within this download. Try combining them with the Watercolor Brushes for a whole new effect, check out the preview images for examples. The textures are part of a larger pack that will be launched in time. But for now, they’re sitting tight here for you to enjoy! File size is approx 485.3MB (675.5MB unzipped), offered as a single download. Can you alter the color of these? You should absolutely be able to do this Clare! I wouldnt call these brushes as such, theyre just brush stamps. Glad it only cost me $5 to find out because thats all theyre worth to be honest. I’m so sorry to hear that you are not 100% happy with your new resources. We really appreciate your feedback and rest assured I have popped you over an email to help!